I am a passionate teacher of many subjects, with many talents and many interests! How to structure your IA commentary? So, you have chosen your article for the IA commentary, now what!? Remember you only have 750 words, which isn’t much, so you have to be efficient with your use of the word count. Use the first paragraph to very briefly (in a sentence or two) tell the reader what the article is about. Remember, you don’t have to summarize the whole article because it’s attached to the commentary! Also, use this first paragraph to define any key terms that are relevant to the context of the article (don’t stress too much about the definitions because you are being assessed on your effective use of these key terms in the context of the article, but it is helpful to provide some definitions of the main key terms). This is your APPLICATION (Criterion C) and your ANALYSIS (Criterion D). This is where you take all the key terms and concepts you explained, along with the diagram, and use them as tools to analyze the article, and apply them in the context provided in the article. Essentially, you want to show an understanding of how these concepts and theories and diagrams can be link and applied in the context provided by the article. This is your EVALUATION (Criterion E). Here is where you discuss the short term vs long term implications, the effects on different stakeholders in the context of the article, the positive and negative consequences, the assumptions and limitations of the model, the pros vs cons, and you prioritize your arguments depending on the context of the article! How to find a good article for your Economics IA Commentary? The Economics Internal Assessment (IA) portfolio is an opportunity for students to connect what they’re learning in class with what’s happening in the ‘real world’. For the purposes of the IA portfolio in IB Economics, students have to find three articles related to three different sections of the syllabus and then write a 750-word commentary about each article showing their abilities to apply relevant theories/concepts, use relevant economic terminology, analyze using relevant diagrams and economic models, and evaluate, all in the context of the article they chose. So, the journey to writing an Economics IA Commentary starts with finding an appropriate article. So, what makes a good article for an IB Economics IA? Not published more than a year from the date of writing the commentary: the closer to today’s date, the better. Article allows for linking two or more concepts in the chosen section of syllabus: the more connections you show between the article and different concepts in the syllabus, the better your application and analysis will be! Article lends itself automatically to drawing one or two diagrams: the IA commentary must contain at least one diagram (as Criterion A is ‘Diagrams’). Most IAs I have seen contain at least two diagrams (one for explaining/applying/analysing and one for evaluating or offering a solution). Each article is from a different and reputable news source: if all your articles are from BBC, then we have a problem! The portfolio should contain a diversity of news sources from different parts of the world. Each article used in portfolio covers a different section of the syllabus: I have my students do one microeconomics IA commentary once we finish microeconomics unit, then one macroeconomics IA commentary once we finish macroeconomics unit, then they can choose either one international economics or development economics IA commentary once we finish the syllabus! So by the end, there will be an microeconomics-related article, macroeconomics-related article, and either international- or development economics-related article! Each article relates to a different part of the world: IB learners should be globally-minded world citizens. I expect my students to write each commentary on an article from a different country in a completely different world region. Once again, the portfolio should contain a diversity of news sources from different parts of the world! 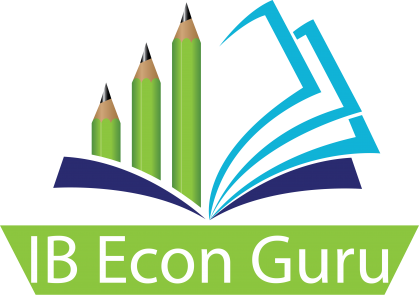 Each article is a primary source: articles found in Economic textbooks, for example, cannot be used! Article can be written in any language: but a translation must be provided if not written in English! Article should deal with contentious issues that are of interest to YOU: if issues in article are not contentious/controversial or you’re not necessarily interested in them, it’ll be more difficult to write the commentary. The next blogpost I’ll be talking about how to structure the IA commentary in order to meet the assessment criteria! The perfect economics Paper 1 Part (B) essay? So, you finished your Paper 1 Part A essay worth 10 marks, where you did the DEED. Now you have your Part B essay worth 15 marks. How do you go about writing it? Again, borrowed from Tim Woods: Do the DEED and CLASPP it all together! The Part B essay is the ‘evaluation’ essay. How do you ‘evaluate’ in economics? 1- C => Conclusions: what can you conclude from the theory that you have explained in your analysis? Are there any ‘conflicting’ conclusions that can be drawn from this analysis? 2- L => Long term vs Short term: are there long term effects or implications different from the short term effects or implications? Your ability to explain that consequences happen in different time frames is a very good evaluation skill. 3- A => Assumptions vs Limitations: what are the assumptions of this model or analysis? What are the limitations of these assumptions or the limitations of the model? Recognizing that economic models are not perfect and they have their limitations is a very good evaluation skill. 4- S => Stakeholders gaining vs Stakeholders losing: every economic decision or policy or event has stakeholders that gain and stakeholders that lose, and being able to identify in details those winners (and how they win) and those losers (and how they lose) is a very good evaluation skill. 5- P => Pros vs Cons: recognising the advantages and disadvantages, the strengths and weaknesses, the pros and cons, is definitely the most basic evaluation skill. 6- P => Priorities: recognising the differences in priorities of the government vs priorities of the individual vs priorities of society, and how different economic agents have different priorities, is a very good evaluation skill. To wrap up, in Paper 1 Part B questions, Do the DEED and then CLASPP it all together! You should finish your part A essay in 18 minutes maximum, and your part B essay in 27 minutes maximum! Of all the ideas explored in the TOK course, I’m most fascinated with the Ways of Knowing (WOKs) which are “traits which knowers can possess through which the knowers obtain and manipulate knowledge“. So, you might be thinking, well how does this tie in with an economics course? Many many ways my friend. As economists and economics teachers, we need to recognize the limitations of the economic models and concepts that we teach! They’re not infallible! We also should spend some time looking at the history of economic thought and see where did these ideas and theories come from and what contexts they evolved from. For example, students often struggle with understanding why the Keynesians and New Classical/Monetarist economists have different shapes for the Aggregate Supply (AS) curve: Keynesian AS is horizontal up until the economy reaches full employment level of output, then it becomes vertical, while the Monetarist/New Classical AS is vertical all the way. This is a perfect TOK opportunity! This approach to critical questioning of the various models and diagrams that we teach is very important. These models are attempts to make sense of markets or various parts of the economy or the economy as a whole, but they’re not as ‘intuitive’ as many Economics teachers believe. In fact, more often than not, these models and equations and quantitative techniques are what deter students from studying Economics. These models and diagrams and quantitative techniques are based on very limiting assumptions, and it’s ok to recognize the limitations of these models. So, how do Keynesians and Monetarists ‘know’ the shape of the AS curve? How do both sides claim to ‘know’ the relationship between real output and average price level? While I try my best to explain the ‘reasoning’ behind the models I teach in the Economics classroom, I often also try to harness the other Ways of Knowing (WOKs) in analyzing the strengths as well as limitations of these models, and constantly push students to question those models. I believe TOK and Economics can go hand in hand in order to develop the students’ critical thinking!